This week the annual Boston marathon was held, and a board member (thanks, Swan) pointed me to the incredible story of Kathrine Switzer. Switzer was the first woman to officially run the Boston marathon 50 years ago this week (A quick side note: runner Bobby Gibb ran the previous year but had finished unofficially because she wasn’t registered. She finished ahead of two thirds of the male runners). Switzer’s coach insisted that a marathon was too far for a “fragile woman” to run and discouraged her from attempting the race. Switzer registered for the race as K.V. Switzer, escaping the oversight from the marathon organizers. When they realized a woman was on the course, one of the organizers attempted to remove her while she ran. Over the course of the race, Switzer was greeted by snickers, but also incredible support from women in the stands when they realized she was running. 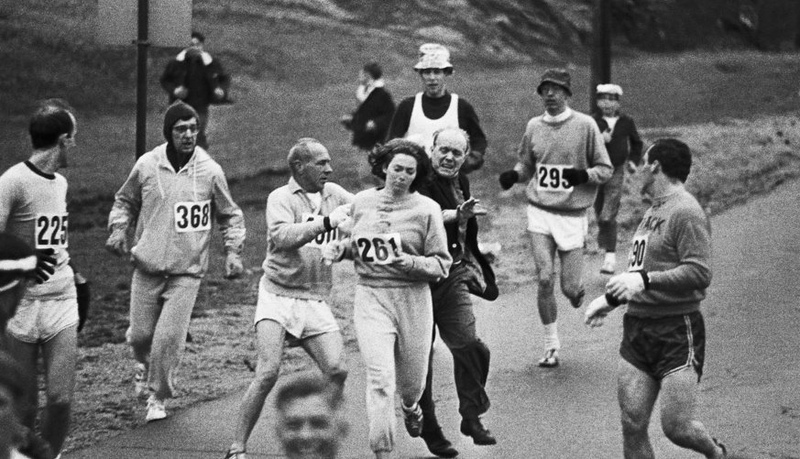 It wasn’t until five years later that women were permitted to run in the Boston Marathon. She continued her running career, winning the 1974 New York City Marathon. She went on to commentate for marathons and advocating for women’s opportunities in racing. What’s remarkable about Switzer (and Gibb’s) story is the excuses that they were given for women not being able to participate initially. They were told that anything longer than 800m would injure women, rendering them unable to have children. They were told they would turn into men, growing hair on their chest and getting big legs. Even more amazingly, this past week, Switzer ran the Boston Marathon again, 50 years later, at the age of 70, using her same bib – Number 261. It was a reminder of two things really – that age really is nothing but a number, and that progress and real change can happen if trailblazers continue to break barriers and supporters and allies continue to advocate. Here’s to all of the trailblazing scholars in our own Impact Network schools!